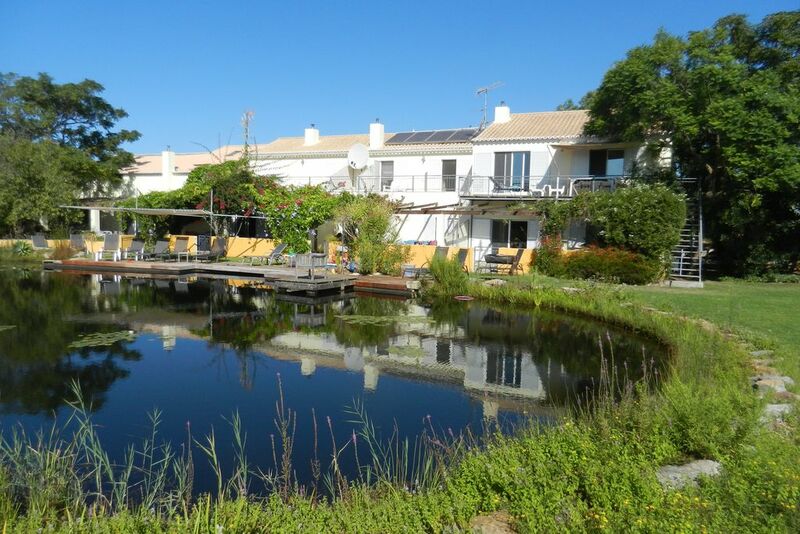 A natural swimming pool and lovely young owners for friendly family apartments - walking distance from a summer boat to the beaches! If you have any questions or want to enquire about dates, use our form to contact Tamar Welti or see their website for more information. Here are four pretty apartments and houses perfect for family and friends; from the top floors you can see the sea. The interiors are tiled and spacious, with enough stripes and blocks of colour to add life to a functional décor. Quintamar sits in the Ria Formosa: lovely farmland and trees and a 15-minute walk to a boat (summer only) or train to ferry you to the sand-spit beaches – reputedly the finest in Portugal. But the main joy is the natural swimming pool whose plants keep the water pure; bathing is in the centre, away from dense waterlilies and singing frogs! Grown-ups can loll on loungers as little ones duck and dive, or join the owners’ children on the wooden pirate ship. On arrival, kind Tamar brings you milk, fruit, rolls, jam and eggs from her hens, and there are heaps of seafood restaurants in the fishing village of Sta Luzia. Beds – super comfy – are draped with Indian spreads, sofas wear throws, wood-burners keep you warm on cool nights, the two-storey apartments have sliding doors to balconies, and patios have space for barbecues. It couldn’t be nicer. We spent a lovely fortnight with our kids age 9 and 17 at Quintamar. Good thing about the place. Very friendly and helpful owner Tamar. The kids were busy with exploring the nature around the house and feeding the animals, the trampoline. Still very warm in October. Actually we were only 2 times at the nearby sea. The natural swimming pool in front of the house was too inviting . :-) We will get back next year. Our organic farm products are sold in a local cooperative stall in the market of Tavira and can be ordered directly from the farm and delivered to your house or picked up. Santa Luzia has great fish restaurants, mini supermarkets and cafes and bars and is within 10 minutes walk. Tavira is 30 minutes walk away. This area is ideal for walking and cycling. It is not essential to hire cars. 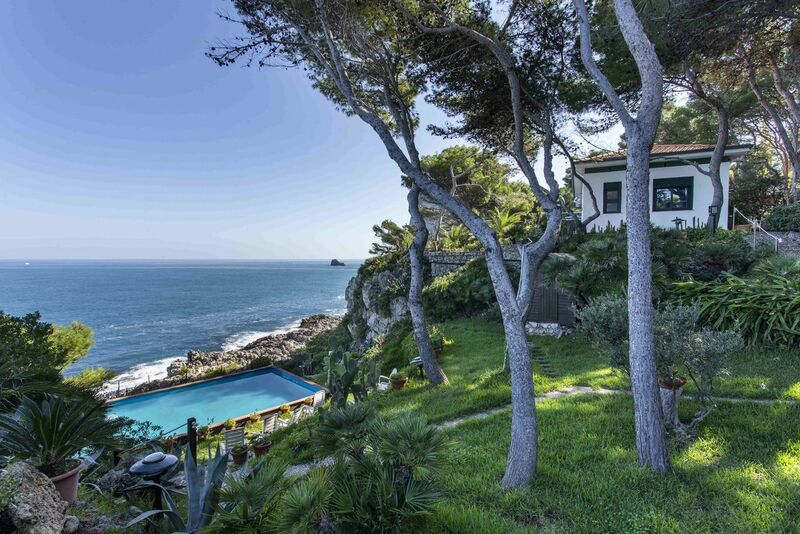 The lets for this house are organised by Tamar Welti, owner of a Sawday’s Special Place near Santa Luzia: Quintamar. Her agency staff will meet and greet so you are guaranteed an excellent service.